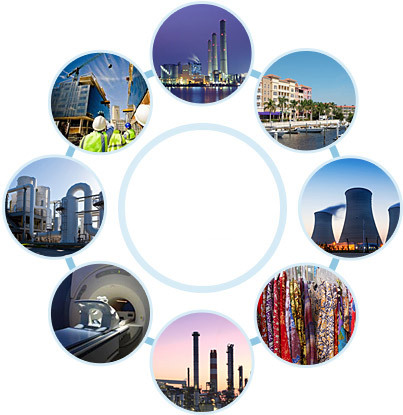 Applications : Pretreatment, Drinking Water, Process, Sewage & Effluent Treatment, Zero Liquid Discharge, Cooling Tower. Applications : Drinking Water, Process, Sewage & Effluent Treatment, Zero Liquid Discharge etc. Applications : Drinking Water, Process Water, Utility Feed Water, Cooling Towers, Wastewater Treatment. Applications : Drinking Water, Process, Sewage / Effluent water treatment, Cooling Tower. Applications : Drinking Water, Process, Sewage/ Effluent water treatment, Zero Liquid Discharge, Cooling Tower etc. Applications : Condensate Polishing Unit, UV, De-mineralization Plant, Ultra filtration, Reverse Osmosis, Zero Liquid Discharge etc. Applications : Sewage/ Effluent water treatment, De-mineralization, Zero Liquid Discharge Filtration System, Softener etc. Applications : Drinking water, Softener, IRF, Filtration System (ACF & MGF), De-mineralization etc. Applications : Drinking water, Filtration System, Softener, Sewage water treatment, Zero Liquid Discharge, etc. Iron, Arsenic, Fluoride & Nitrate removal plant. WTP, RO, UV, Filtration System, Softener, Continuous Sand Filter (Removal of Turbidity, TSS), Chlorination etc.